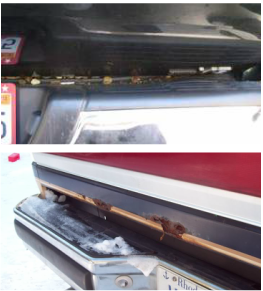 Keep loose material out of your trucks' tailgate gap with this simple and effective solution. 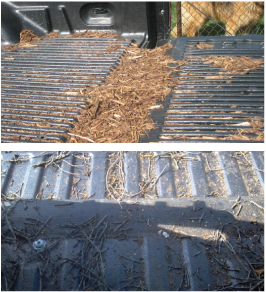 Great for anyone that hauls dirt, mulch, or any sort of yard debris in the bed of their pickup. 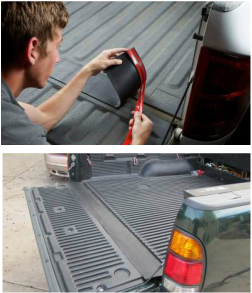 The Gapshield is an engineered 6.5"x60" profile extrusion of durable synthetic elastomer that bridges the gap between your truck bed and tailgate, preventing material from spilling out. Full-length strips of 3M acyrlic foam tape and included adhesion promoter secure the Gapshield to your pickup, making installation a snap! For purchases delivered within the continental US. Shipping discount automatically deducted from the full shipping price at check-out. I have had a GapShield for several months now and I have a sprayed in bed liner. I can say I have not had a bit of problem with it and it adheres very well! I am very happy with the product! Great customer service by the way. Time is money in my business. Cleaning time is wasted time - so the GapShield keeps money in my pocket. Before I had a GapShield, I placed stuff like corn, gravel, etc. in my truck bed and it would either fall out as I was driving or get under the bed. When corn was trapped, it would sprout and rot requiring removal of the entire bed liner. The GapShield prevents that. I recommend this product and will be using it a lot this fall. 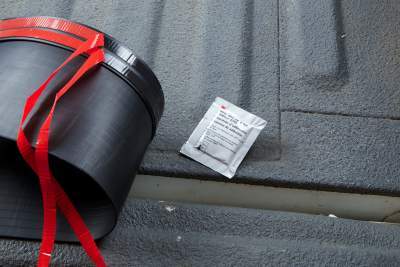 Adhesion: Two-strips 3M high strength double-sided adhesive foamed tape. Adhesion promoter wipe included to enhance bond strength, especially necessary on "imperfect" bond surfaces and Spray-on-Liners.